It’s amazing how time passes and in our hearts we are still standing still. Sometimes just waiting and hoping and sometimes simply because we can’t move on. 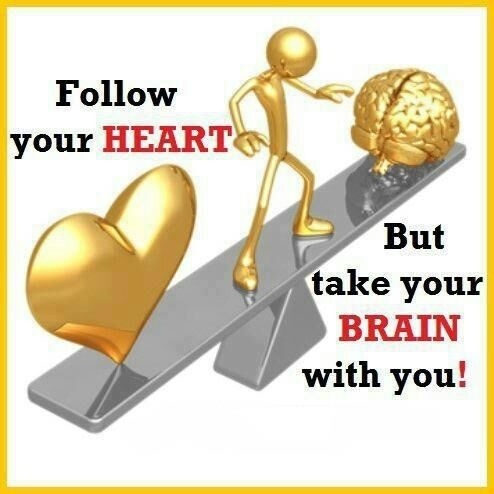 Wouldn’t it be great that when we make a decision in our heads which we know is right, our hearts would follow too? It could be anything from simple matters to the affairs of the heart. I find myself in this turmoil many a time. Where my heart says something and my head is off in the opposite direction or vice versa. Common sense prevails but the heart doesn’t understand this. It beats inside of me, it’s mines, yet it leads me into turmoil, heartache and pain. Very often I think my heart is my enemy, it goes against me on most decisions I make. When I let it have it’s own way it dances in my chest and beats a million beats to a minute. It won’t let me sleep eat or drink. It makes me goofy at times, speechless and very very dumb. Sometimes I think I’m flying, soaring above everything and everyone. No one can touch me I’m invincible. Or so I thought. It’s almost like it’run out of petrol. Somewhere in your head there’s a voice telling you it’s not going to last very long. You will come down, you will crash, this dancing has to stop and sure enough it does. It’s very painful knowing you knew better but followed your heart anyway. It’s excruciating trying to kick yourself for it but, no worries plenty of people around to do it for you. To remind you how incredibly dumb you are. The thing is, you knew it was the wrong way to go but, at this point it’s now irrelevant. Nothing matters of what you knew because, if u didn’t have the power to not make irrational decisions then, where u going to find the power now to fix them or get over them? All I can say is, there is no bigger terrorist in this world than your very own heart and if I didn’t need it so much I’d have shot it long ago. This entry was posted in blogging, death, love, relationships and tagged enemy, love, mistakes, pain, terrorist. Bookmark the permalink. They most certainly do… it’s rare they come together. heart is dumb but gives you peace when it gets its way. the mind is a calculator and does what it does best, give you worries. always. so be happy and follow the heart always. that is what i would say. Even when you know you heart is wrong? lekin kabhi kabhi ise tanha bhi chhoR de. Yes I do understand Urdu lol yes very well said indeed.